As my friends and I walked through the Centennial Forum Student Union (CSFU), we noticed a poster offering students tickets to the 2012 Six Flag’s Fright Fest. I walk through the CSFU countless times a day, usually in a rush and not paying any attention to all of the advertisements. 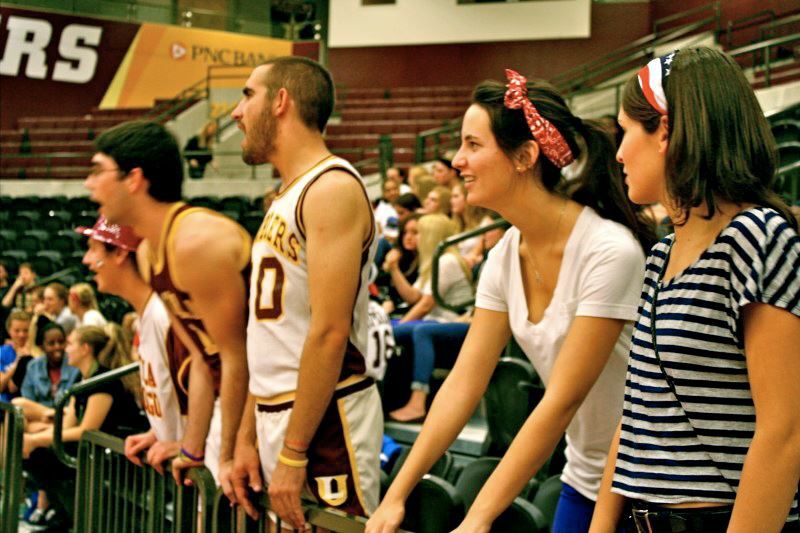 Loyola often receives discounted student tickets to various events around the city. 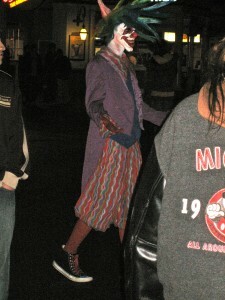 It was the last night of Fright Fest, which meant that Six Flags would be closing soon for the winter. We got the tickets for $20, which included admission and transportation via school bus to Gurnee, Il. We bundled up, had breakfast and met up around 9 a.m. to catch the bus. 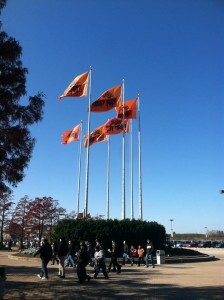 The weather was beautiful and we were ready for a fun filled day at Six Flags. It’s always nice to get off of campus for a day every once in a while. The park was decked out with headstones, pumpkins and other various scary decorations. 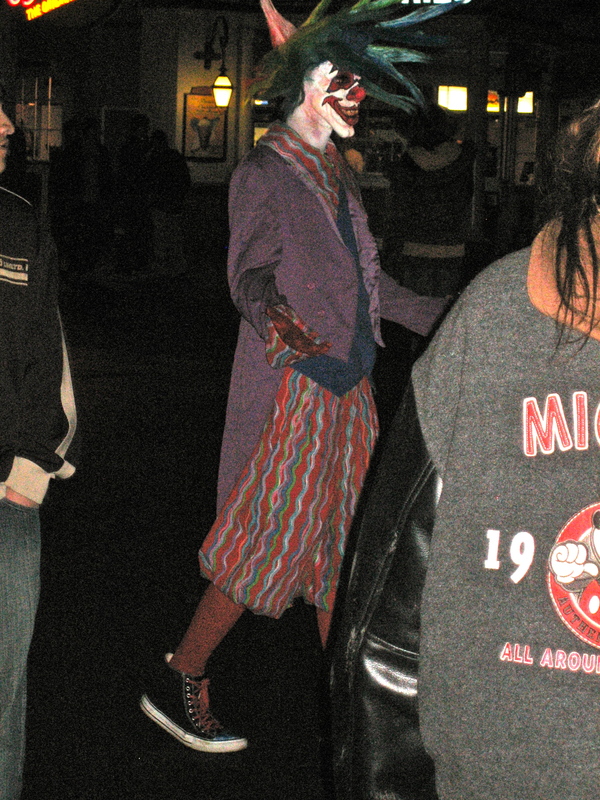 There were also designated “scare zones” where employees in costumes jumped out at guests. There was even a 10 minute long “Haunted Trail” that included zombies following you through a forest of electronic skeletons moving around in the bushes. Aside from the Fright Fest events, we made the most of the array of rides and roller coasters. Because of the long lines, we were forced to pick the Raging Bull, Batman and Superman over the other coasters. We developed a system of reserving spots in line and taking turns to get food, go to the bathroom and do whatever else we needed to make the time go by faster. Of course, we also ate way too much. 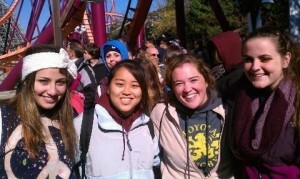 Hot chocolate was a favorite of the day, along with Johnny Rockets hot dogs, Six Flag’s nachos and funnel cakes. By the time the busses were ready to leave, we were beat, had sore feet and runny noses. After sleeping the whole way home, we finally arrived back at Loyola. I took a warm shower and got right to bed. Saying I slept good that night would be an understatement, but it was a good sleep – the kind you get after a full, successful day. I attribute the day as one of my favorite this semester and I will definitely pay closer attention to the off-campus events in the future. This past Wednesday the 2012-2013 Loyola Men’s Volleyball team played against a very strong Russian national team. For a exhibition game there were a ton of students in attendance and the game was among the best that I have seen while . Sure it is not quite the same without the old Alumni Arena but the Men’s Volleyball team hits the new digs really nicely. NCAA Champions maybe? We will find out, but with the 50th anniversary and lots of prospects, it is looking like a promising year. 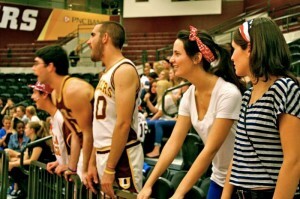 Onward to victory, Loyola U! So as you all know Halloween falls on a Wednesday this year. That means there are two weekends to celebrate it! Tonight is the first night and boy are my roommates and I excited! We are doing a group costume and being the characters from Peter Pan! I am Tiger Lily, the Indian princess. My roommate (below) is a lost boy. We also have Wendy, Captain Hook, Peter and best of all, his shadow. 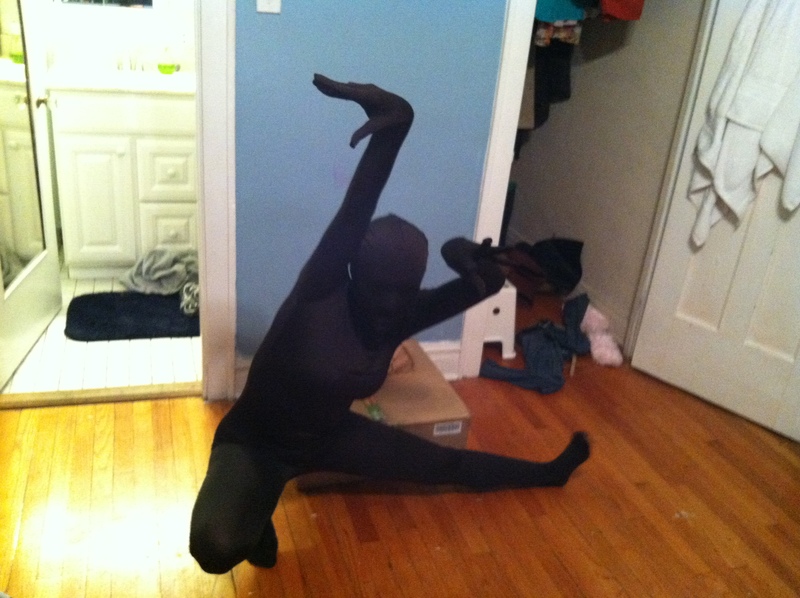 One of my friends is wearing a black morph suit and going to follow Peter around all night and act like his shadow! We are getting ready now and super excited! I’ll upload more pictures of our whole group next week! My roommate Kelly preparing her Lost Boy costume. 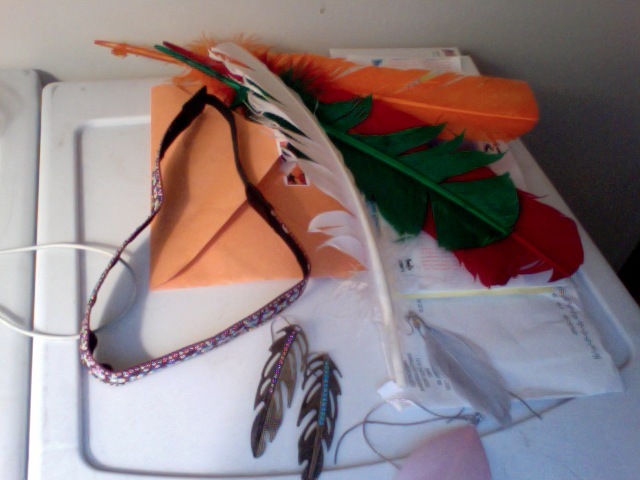 Some of my accessories for Tiger Lily! Peter Pan's shadow! Awesome costume! Applying to college can be a daunting process. It appears like there is an endless number of things to fill out and send. I remember applying to schools not too long ago and thinking how over whelming it was. Now looking at the application process from the other end, I see how stress can take it’s toll on an applicant and application. To help combat the stress and errors that come with it, here are my 5 super obvious but rarely practiced tips to remember when applying to college. It’s important to keep things in perspective. Yes, applying to college is important. But when you’re not relaxed about what you’re doing mistakes can/will be made. Simple things to remember: don’t rush, breath and give yourself time. Make sure you’re applying in a relaxing environment with ample time to fill out your application and focus on your writing sample. This seems like something trivial, but it’s important. If you do make a mistake, don’t worry, call the admission office. We’re here to help. This leads me to my next point. 2. Call/email for help or if you have questions. We’re here to help! Part of our job as admission counselors is to help students navigate the application process. We are a great resource. Use us! Don’t hesitate to ask questions about anything or bring up any issues you have filling out your application. It’s also nice developing a relationship with your admission counselor. It’s nice for admission counselors to match faces/personalities with names. 3. Proof read your essay. Read it aloud to yourself. You might sound a little crazy reading to yourself, but it’s one of the best way to discover spelling errors or awkward phrasing in your writing. And if you’re writing multiple essays for different schools, make sure the proper essays are going the proper places. 4. Make sure all your materials are ready to be sent. Request transcripts to be sent once you’ve completed your application. 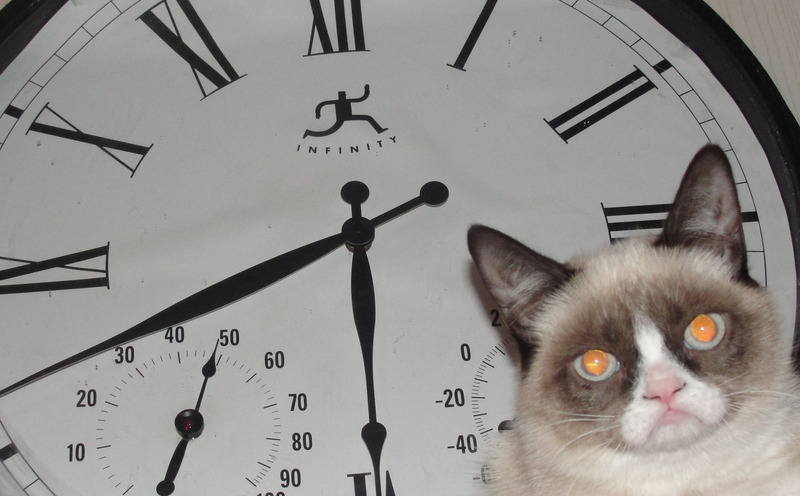 Check in with the people writing your letters of recommendation so they are aware of any deadlines. Don’t bother these people, but offer friendly reminders if you’re waiting for the letter to complete your application. 5. Check on the status of your application after your materials have been sent. A vast majority of schools allow you to do this online, we are one of them. You can also give us a ring or email us as well to check. It’s important to make sure you’re complete before any review deadlines. But it’s also important to know your materials made it in. That’s it. Seems to simple right? It is! Following these tips will help your overall emotional health when applying and in the review process too. Roller blades – they are indeed an overlooked, hidden key to the city. I got this idea as I was doing one of my favorite hobbies, thrift shopping. At the very first location of the day, a little resale outlet in Lincoln Park, I found this treasure. On these adventures I usually find things like vintage records or recycle-styled lamps, so I was not expecting to find what I did this on particular day. My face instantly lit up when I saw the back of what looked like a roller blade on the bottom shelf, tucked under some other rummage. I rushed over, hoping and wondering if it was true. I was determined that no one was going to get their hands on those skates before me. They were in fact a pair of in-line roller blades in top condition and most importantly they fit me perfectly. People literally spend up to $600 on skates like these, but they were waiting for me for the low price of $25. The previous owner of the skates did NOT know how to live the city life, but I would not make the same mistake. Rollerskating is making a huge come back into college campuses, becoming just as popular as skate boarding, biking, etc. Loyola’s campus is relatively small compared to most other college campuses, but having an alternative to walking is not uncommon here, and in a big city like Chicago, it is popular. 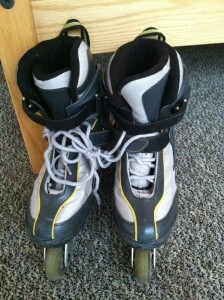 These roller blades cut my ten minute walk to class into six minuets… that’s another cup of coffee in my world. Aside from this, it is also a great way to get some exercise and relieve stress. 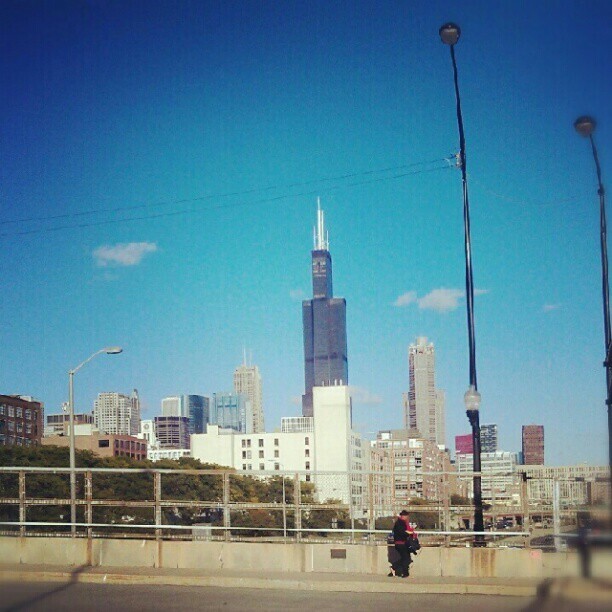 Besides skating on campus, people often skate on the Lakeshore path and around their perspective neighborhoods, which helpful in getting acclimated with the streets and various areas of Chicago. As it is slowly but surely turning into winter, I will definitely be utilizing these skates to the fullest to help enjoy the last weeks of the fall season. It’s been a long October. I’ve been literally all over the country, visiting high schools and attending college fairs. 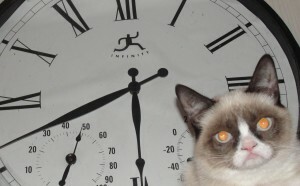 At one point, I visited three time zones in less than 48 hours. I felt like some world famous rapper on a global tour. But I wasn’t on tour. And I am not a world famous rapper (yet). What am I really? A bit tired and an admission counselor. Curious as to where I’ve been? 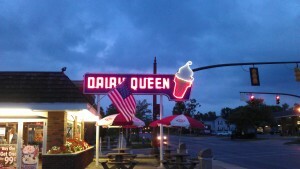 Well my travel started in Columbus, OH in late September. 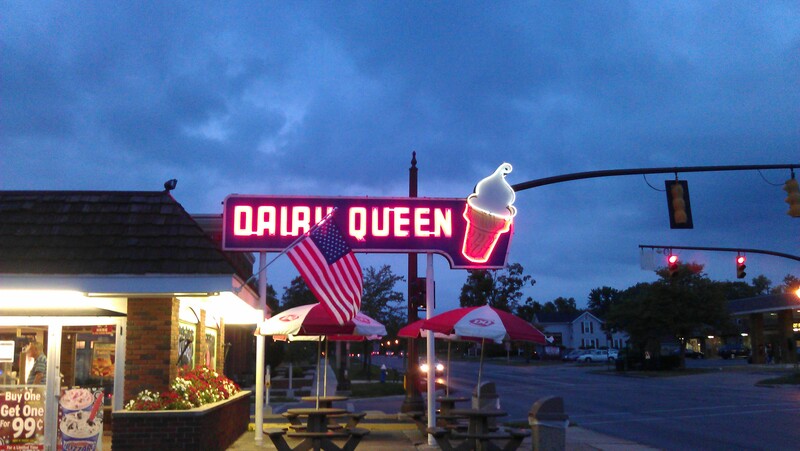 I spent a couple days visiting high schools and eating Blizzards from a cool DQ north of the city. 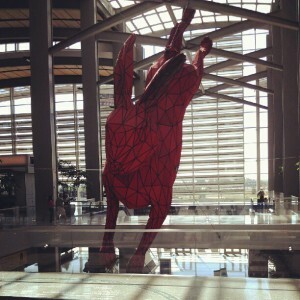 My first stop in October was to head back home to Sacramento, California. I was lucky enough to head back to the Golden State to do some school visits/college visits. I don’t get to go back West Coast too often, so it was nice staying at home for a while. 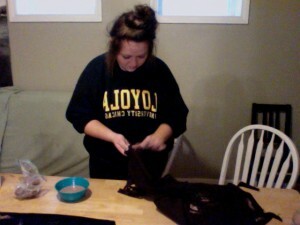 It was even nicer having a home cooked meal prepared when I finished college fairs late at night. Thanks Mom! I met a lot of great students while I was in Northern California. Many of the students I chatted with didn’t even know there was a Loyola in Chicago! I had to do some educating. 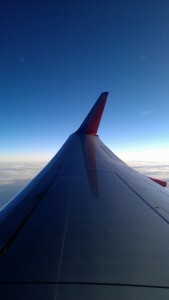 Next I flew back to Chicago for 30 some odd hours. On Columbus Day I jetted to Dayton where I then drove to Cincinnati to stay for about a week. This was my third time in the Queen City and I have to say it’s growing on me. The city is nestled in a beautiful group of tree covered hills. I came at a wonderful time of the year, just as the leaves began to turn yellow and gold for the start of the Fall. I saw a number of students at all the high school visits and college fairs I attended. I felt pretty popular. The students were brimming with great questions about the application process and about life at the university. While I loved meeting with students and their families, the best part of the trip was something I got to do on an afternoon off. 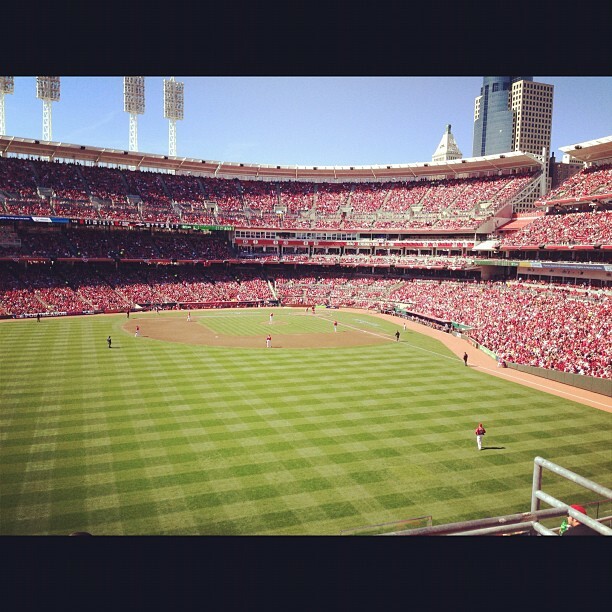 The Cincinnati Reds were in a playoff battle with The San Francisco Giants. 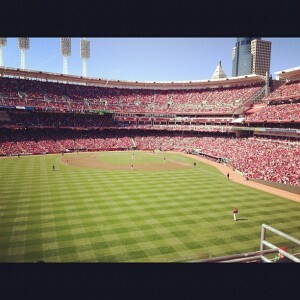 The five game series was down to the last game at the Great American Ballpark. Being a Giants fan, I jumped at the chance to attend the game. This being a playoff game, I assumed the tickets would reach astronomical prices. I checked Stubhub before one of my visits to see if I could find anything in my price range. To my luck/surprise I found a $15 bleacher seat! I snagged that ticket ASAP and traveled to the game later that day. It was a beautiful day for a baseball game (check out the photo above), made even better when the Giants won. After the game I had a couple more high schools visits then I drove back up to Dayton to catch my flight back to Chicago. Now is when the real fun starts. We’ll start reviewing applications for the Fall 2013 semester very soon! In the coming week, I’ll be sure to post some of my tips for applying to Loyola.